Morrissey is coming to Miami next week for his supposed Final Tour, so I thought I'd do a little Mixtape/Tribute to Morrissey in honor of the event. I pretty much grew up listening to Morrissey and The Smiths along with a few others like Depeche Mode, The Cure, New Order, NIN etc... Back when I was in college (too many years ago!) The Smiths and Morrissey were my absolute favorites. I remember smoking with friends and making lists about which albums we would take with us if you could only have a few albums with us on a desserted island. Ha, we were high... One of the ones that would always make my list was The Queen is Dead by The Smiths. It still holds up really well I think. It's an amazing record and is their best regular full length release. Some would argue Meat is Murder which had some amazing guitar work by Johnny Marr but Queen is kinda were it all came together commercially and artistically. The guitar work on Bigmouth Strikes Again (Wow!) and There is a Light that Never Goes Out is probably one of the best pop songs ever written about teenage angst. Queens and Louder than Bombs which was a compilation released later on are probably the two most essential Smiths releases. You can get a pretty good idea of what they did with those two releases. But of course us die hard Smiths fans have to have them all! Then Morrissey went on to have a great Solo Career of his own... Viva Hate was released only one year after he left The Smiths in late 87' early 88' I think and was probably the closest sounding Smiths record. 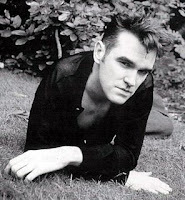 Viva Hate could easily fit into The Smiths catalog. Probably cause he wrote it so close to his departure and he used some of the same musicians from his Smiths days. Then he released Bona Drag which is a compilation of hard to find solo rarities, b-sides etc. This was another fan favorite and the last before he started to change his style a bit and started working with long time collaborators Boz Boorer and Alain Whyte. Boz and Alain would later go on to shape Morrissey's sound and have worked with him ever since. 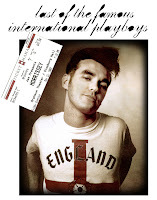 (Although I did notice Alain missing in that last Morrissey show a few months ago?) Anyways while with Boz and Alain they went on to create my two favorite Morrissey solo records of all time 'Your Arsenal' & 'Vauxhaul & I' in the early 90's. Those two records still hold up really well I think. Vauxhaul & I in particular did it for me. He just seemed to mature when that album came out and put out this brilliant mellancholly grown up record. It's still one of my favorites, especially for late nights. Not one filler in the bunch. Anyways here is a compilation I put together of some of my favorite Morrissey solo tracks. He has so many it was hard to choose. Most of these aren't the singles or the big hits that end up on Best Of compilations but their amazing and give you a good idea as to the scope of his work. P.S. If your in South Florida we're having a Smiths/Morrissey Tribute this Sunday, Nov the 4th @ Chocolate Sundays/Purdy (BackRoom) Come out! Should be a blast!! Turns out the "final tour" rumor was in fact bogus. Check out this article from Pitchfork which says he already has written a new album, and will begin touring again as early as January 08. 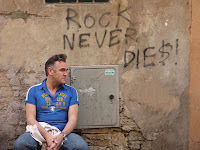 "And while Morrissey has tended to stay off the road for long periods, the upcoming break will last only a few months, given the high demand to see the man in person. "He'll be back out in January," Mercuriadis says. "We'll take a short break and then start again in March." ie. He and his label made a lot of money and wants to make more. Oh well. It will make for another post next year! he should be able to tour all he wants! 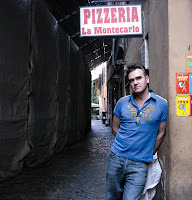 the http://musicslut.blogspot.com/ (which you might now of) adores the moz, check it once in awhile to get moz updates and other goodies!